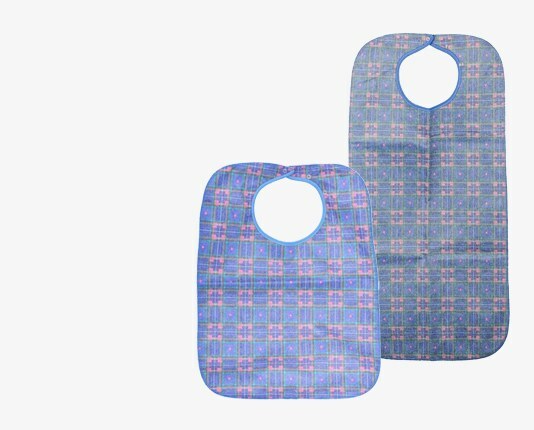 Washable Adult Bibs are designed to protect clothes against spillages and are comfortable to wear. The waterproof layer of the Bibs provides complete peace of mind against liquid spillages and the easy to use snap closure feature of the bibs ensure a secure and simple fit. Waterproof Bibs are also available with fold out pockets to provide that extra bit of protection. All Bibs are Machine Washable and Tumble Dry Safe. Our Washable bibs are available in a variety of colours and sizes for your convenience.